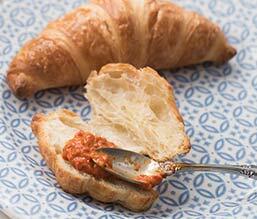 Ajvar can be eaten in so many ways. 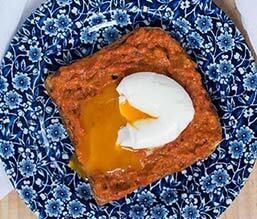 We present you with our 9 favorite ways to eat ajvar. Actually, nine plus one. 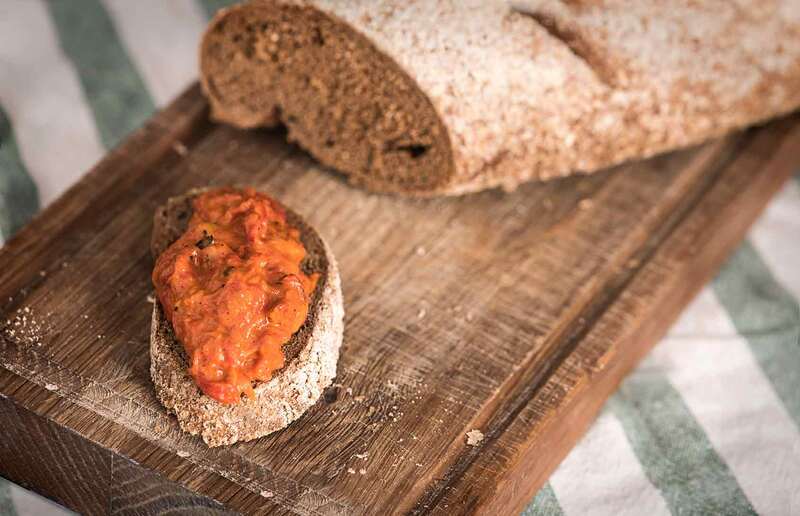 The slightly smoky aroma of sweet roasted pepper, set off by a dash of vinegar and oil in ajvar can be an ideal addition to classic dishes, or add a surprising twist to exceptional tastes of new recipes. 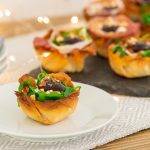 Its full, rich, distinct taste and its fine, thick texture turn even a simple slice of bread or pastry into a savory bite. 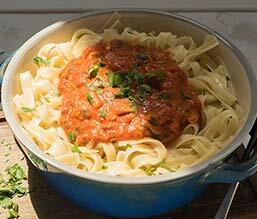 The variety of possible combinations of flavors and ingredients is almost inexhaustible. 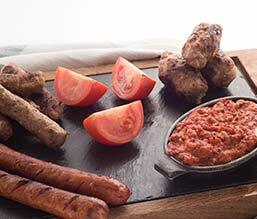 On a slice of bread or a soft, fragrant pastry as breakfast, light dinner or snack, ajvar can be a complete meal. A glass of mild yoghurt or milk is ideal with this combination. 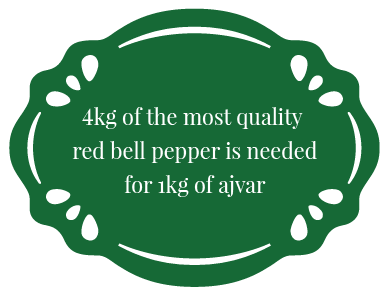 Ajvar is an ideal aromatic side dish to crispy baked or grilled vegetables. 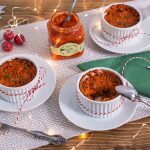 It also enriches and sets off the taste of grilled meat accentuating the smoky, meaty aromas with its fresh sweet taste. 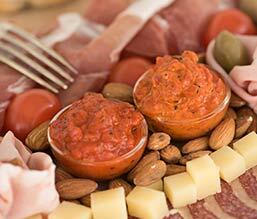 It is excellent company to all roasted, fried, sautéed or boiled red meats and poultry alike. 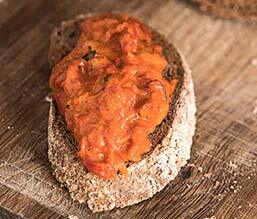 Ajvar’s rich, full flavor goes wonderfully with tender tastes of vegetables. 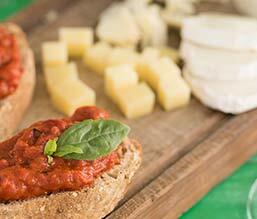 Baked, boiled or fresh veggies, ajvar and a bit of good cheese, and presto – lunch is served in a blink. 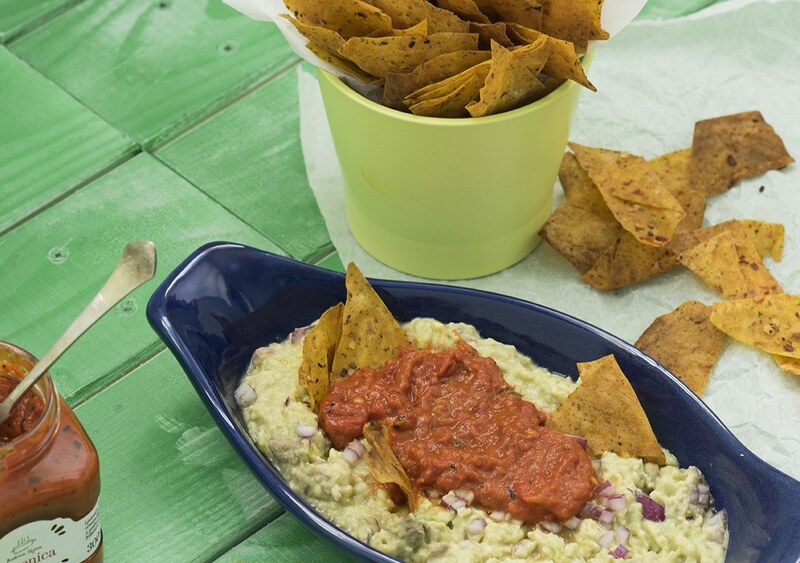 Or try to dip some chips into it and you will end up with a genuine Balkan guacamole. 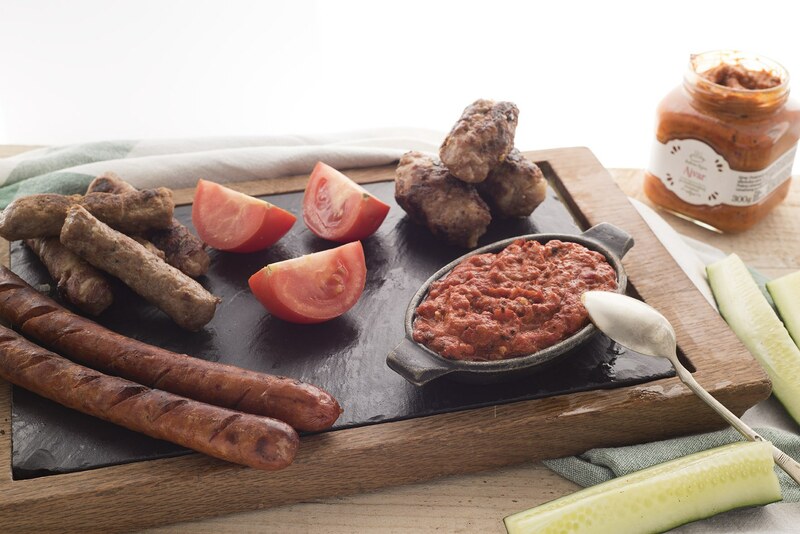 A table loaded with upbeat bite-sized delicacies in the Balkans is unimaginable without ajvar. 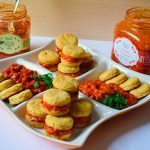 Fine prosciutto and deli meats, mild or ripe cheeses, colorful mouthfuls of fresh or pickled veggies, olives, almonds, fragrant warm mini pastries, everything tastes better with ajvar. 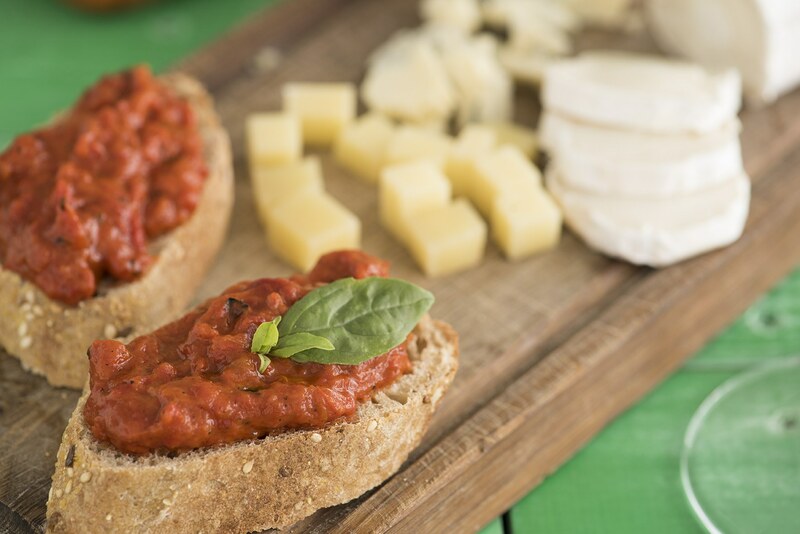 Cheese pies, meat pies, crispy corn bread, rustic thin crust rolled pies or tender puff pastries… they all are taken to a whole new level with ajvar, either added in the dough to enrich it, or serving as a filling. 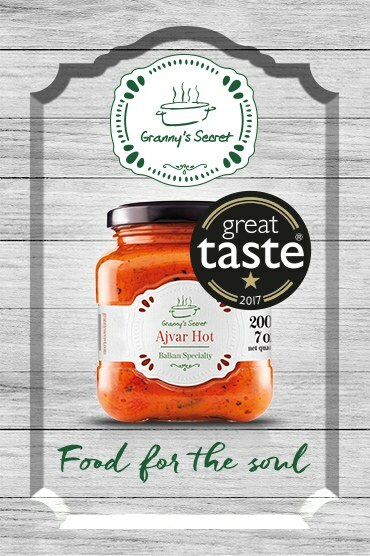 When two famous traditional specialties such as pasta and ajvar come together, a rhapsody of tastes ensues. 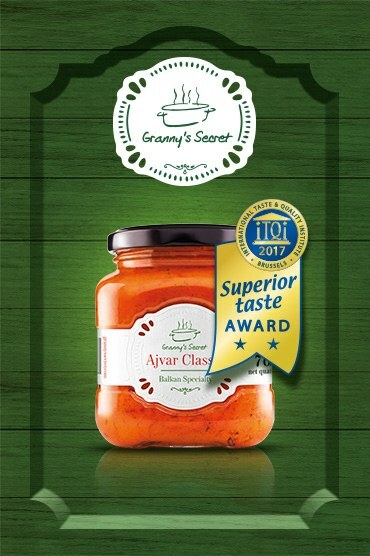 The flavors of ajvar beautifully accentuate aromas of all tomato-based sauces, and work wonders combined with pasta and herbs such as basil, sage, thyme or oregano. 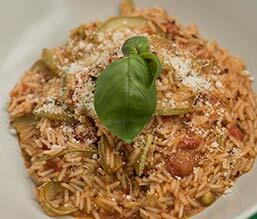 Either as a side to the main dish, or playing the starring role, ajvar risotto is irresistible. 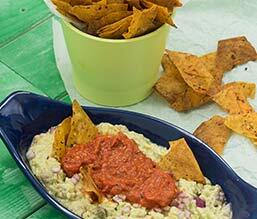 With a small addition of ajvar, a classic risotto is transformed, and its full taste will enrich your daily meals. 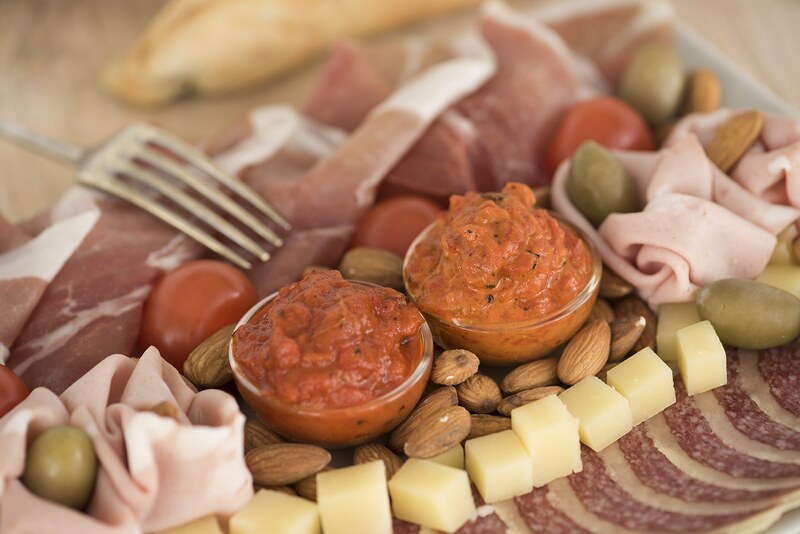 All kinds of cheese work naturally well with ajvar. 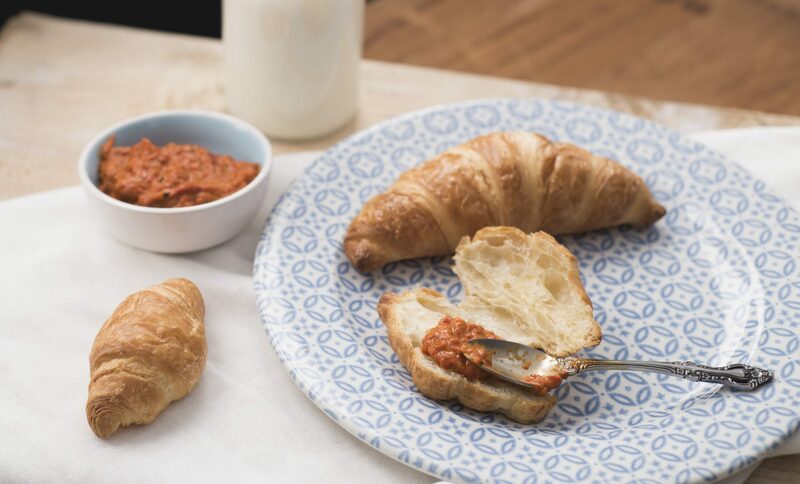 Mild, fresh, young cheeses, as well as ripe, hard and sharp tasting ones, are an ideal match to sweet, smoky aroma and delicate texture of real ajvar. 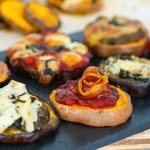 They go so well with pastry and vegetables. It is said that the healthiest meal is when you have at least 3 colors in your plate. 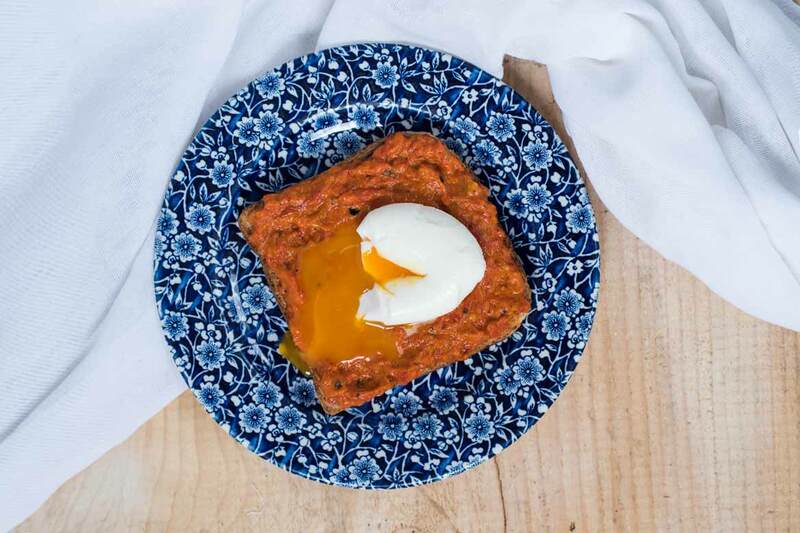 When you combine ajvar and eggs you get a nice to look at, healthy meal. 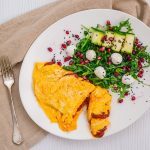 Ever tasted an ajvar omelette? 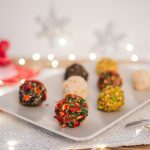 This is yet another perfect combination of flavors we highly recommend, but don’t take our word for it, try it yourself! when in company of other people… because when we are alone and nobody’s looking, it is not out of the ordinary to dip our fingers into the jar. That’s the kind of love we have for it.